For Danish native and much-revered producer/performer Rune Reilly KÖLSCH, Kompakt has proven the perfect home curating his music: with two critically acclaimed albums and a now classic run of solo instalments in our Speicher 12” series, he took his techno craftsmanship to new levels, setting it on a melodic, emotive and even autobiographical course - without loosing any of its punch and quirkiness. 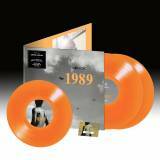 With new full-length 1989, Kölsch presents the final chapter of an elegant, anthemic album trilogy that started with an exploration of early childhood memories and influences on “1977” (KOM 276 CD 107) - the year of his birth – and continued on “1983” KOM 329 CD 122), a vibrant and picturesque journey sound tracking the year he travelled through Europe aged six. 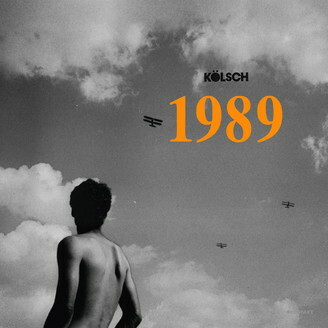 “With 1989, we have arrived in my early teens”, Kölsch explains, “a difficult time in my life, where I mostly just remember the greyness of it all – grey feelings, grey weather and my own grey face.” Coinciding with the already challenging need to squeeze past the bottleneck of puberty, it was a time of seething family crisis – his parents were divorcing: “I would escape that grey world on my skateboard, listen to my Walkman as I explored the city around me. Music became my savior – the only way to overcome my family’s hard times. I found a soundtrack to my grey life, and suddenly there was color.” It’s why you’ll find several tracks on the album being named “grey” in different languages, and they all share this distinctly “Kölsch-esque” moment of epic melodies breaking through propulsive techno beats like the sun through stormy clouds – a musical twist that’s particularly impressive on album hit single PUSH, first heard on “Speicher 97” (KOM EX 97). 1989 marks also Kölsch’s intensified deployment of real-life orchestral sounds and the conitunation of his extremely fruitful collab with Gregor Schwellenbach: after contributing to predecessor album “1983”, the Kompakt affiliate, composer and multi-instrumentalist now conducts the Heritage Orchestra for tracks KHAIRO, LIATH (featuring a violin solo by Kate Robinson) and SERJI, the latter of which Schwellenbach co-wrote and co-produced. The 24-person Heritage Orchstra consists of violins, violas, cellos and double basses, adding the sweeping drama and organic, richly layered textures that only real strings can produce – a deeply humane tone that is set with the album’s opening recording of the orchestra tuning its instruments (which incidentally also incorporates a voice recording from 1989 of Rune Reilly’s grandfather Ludwig). Seeing Kölsch’s propensity for vocalist cameos on his albums (Trœls Abrahamsen on “1977”, Tomas Høffding and Waa Industry on “1983”), one shouldn’t be surprised to find beautiful cut IN BOTTLES, which features vocals written and performed by Aurora Aksnes. Für den dänischen Produzenten und Performer Rune Reilly KÖLSCH hat sich Kompakt als ideale musikalische Heimat bewährt: mit zwei hochgelobten Alben und einer inzwischen als klassisch geltenden Serie an Solo-EPs unter dem Speicher-Banner hat er sein Technohandwerk auf die nächste Stufe gebracht, mit Kurs auf Melodie, Emotion und sogar autobiographische Elemente – ohne an Druck oder Charakter zu verlieren. Mit dem neuen Langspieler 1989 präsentiert Kölsch das finale Kapitel einer eleganten, an Höhepunkten reichen Albumtrilogie, die mit der Erkundung früher Kindheitserinnerungen und Einflüsse auf “1977” (KOM 276 CD 107) – dem Jahr seiner Geburt – begann, und auf “1983” (KOM 329 CD 122) fortgeführt wurde, einer lebhaften und pittoresken Reise durch das Frühachtziger Europa, das er als Sechsjähriger erlebte. 1989 markiert ausserdem Kölschs intensivierten Einsatz von echten, live eingespielten Orchesterklängen und die Weiterführung seiner extrem fruchtbaren Zusammenarbeit mit Gregor Schwellenbach: nach dessen Beiträgen zum Vorgängeralbum “1983” dirigiert der Kompakt-Mitstreiter, Komponist und Multi-Instrumentalist nun das Heritage Orchester auf den Tracks KHAIRO, LIATH (inclusive Violinensolo von Kate Robinson) und SERJI – und wirkt auf letzterem sgar als Koproduzent und –komponist mit. Das 24-köpfige Heritage Orchester besteht aus Geigen, Bratschen, Cellos und Kontrabässen und bringt die mitreissende Dramatik und organische, vielschichtige Textur ins Spiel, welche nur Streichinstrumente erreichen – eine zutiefst humane Tonalität die bereits mit den ersten Sekunden des Albums gesetzt wird, wenn das Orchester die Instrumente stimmt (begleitet von einer Tonbandaufnahme von Rune Reillys Grossvater Ludwig aus dem Jahr 1989). Kölschs Vorliebe für Sänger-Gastauftritte auf seinen Alben (Trœls Abrahamsen auf “1977”, Tomas Høffding und Waa Industry auf “1983”) kommt auf dem wunderschönen IN BOTTLES zum Tragen, mit selbstverfasstem Gesang von Aurora Aksnes.